Maximin Grünhaus rejoining the VDP Mosel gives the perfect opportunity to have a closer look at this century-old institution. 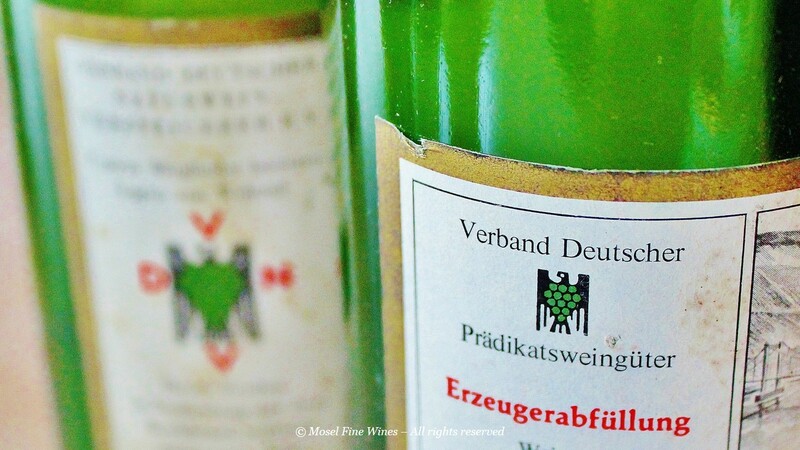 The VDP.Die Prädikatsweingüter is a unique association deeply rooted in the history of German wine. Its origin lies deep in the 19th century, when growers decided to bundle forces out of a desire to focus on quality in an age before any wine law, but also out of the sheer necessity to form a counterweight to the hugely powerful wine merchants. These growers gradually formed “consortia”, whose purpose was to sell the members' casks at semi-annual or annual Auctions (our article Introduction to the Annual Trier Wine Auctions provides the detailed story of these Auctions). The VDP Mosel was created in 1908 out of three such "consortia." Given the large number of its members (56), the "Trierer Verein der Weingutsbesitzer der Mosel, Saar und Ruwer", as it was formally called, was soon simply known as “Der Grosse Ring” (“The Large Ring”). The members of the Grosser Ring agreed to sell their wines under their own names only, with “original corks” as guarantee of the origin. Much of these wines continued to be sold via the Auctions, where the prices paid for some casks soon reached dizzying heights. Similar associations emerged in other wine regions of Germany as well. In 1910, they decided to form a nation-wide association called "Verband Deutscher Naturweinversteigerer" (VDNV). After the law of 1971, which banned the word Naturwein, the association changed its name to Verband Deutscher Prädikatsweingüter, in short: VDP. setting and maintaining a classification of vineyards and wines (Grosse Lage, Grosses Gewächs, etc.). defining commercialization rules (no Grosses Gewächs commercialized before September, etc.). organizing annual Auctions at which members sell some of their very best casks. Of course, all these activities are done "internally" within the VDP and any cynic will be quick to conclude that “birds of feather flock together” or “dogs don’t eat dogs.” However, and you can take this from us, not only a few quiet words have been exchanged with members who do not abide to the rules and quality standards. Some of the VDP classification and commercialization principles generated hot debates over the years. However, there is no denying that these have set standards for German wines as a whole and its principles have been an inspiration for many non-VDP winemakers as well. This quest for quality played a central role in the prestige enjoyed by the VDP. The association and the different variations of its logo (see above!) have been a sign for high standards winemaking since over a century now. It is therefore also not surprising that so many of the Estates we review every year are members of the VDP. The VDP Mosel includes 31 members today. While this is less than at its origin (it had 56 members), the average size of its members has increased significantly, from approx. 10 ha in 1910 to 18 ha today. As a result, the total area tended by VDP Mosel members has remained pretty much unchanged over the last century! At its origin, member Estates were concentrated in the central part of the Middle Mosel, the Saar and the Ruwer valleys. Today, the VDP Mosel membership stretches over the full region, from Serrig (Weingut Schloss Saarstein) right down to Winningen (Weingut Heymann-Löwenstein). The VDP Mosel Estates have shown remarkable resilience to depressions and the general wear and tear of time. More than half of the founding member Estates are still operating today. Most of these are still a member of the VDP Mosel. This includes such mythical names as Geltz, Egon Müller, Prüm or Thanisch. What happened to the other founding member Estates? A few are no longer member of any association. This includes notably the Friedrich-Wilhelm-Gymnasium, the (then three) Bischöfliche Weingüter Trier and the Staatsweingut Trier (recently taken over by the German Red Cross). One Estate, Weingut Erben von Beulwitz, is now a member of another grower association. The remaining founding members were unfortunately given up, mainly in the aftermaths of the two wars and the difficult period of the 1970s. The VDP Mosel shows also quite some "terroir resilience" as well. While about a third of the founding member Estates are still members today, our research shows that a small half of the vineyards originally held by VDP members are still in the hands of VDP Mosel Estates. Good terroir is rare and prized. In order to compensate for the decline in membership, the VDP Mosel engaged into a process of embracing new members by the 1990s. It is in this context that such leading Estates as Weingut Willi Schaefer, Weingut St. Urbans-Hof, Weingut Reinhold Haart or, more recently, Weingut Peter Lauer joined the VDP. The VDP Mosel also extended its geographical reach and embraced members from Pünderich (Weingut Clemens Busch) and Winningen (Weingut Heymann-Löwenstein). 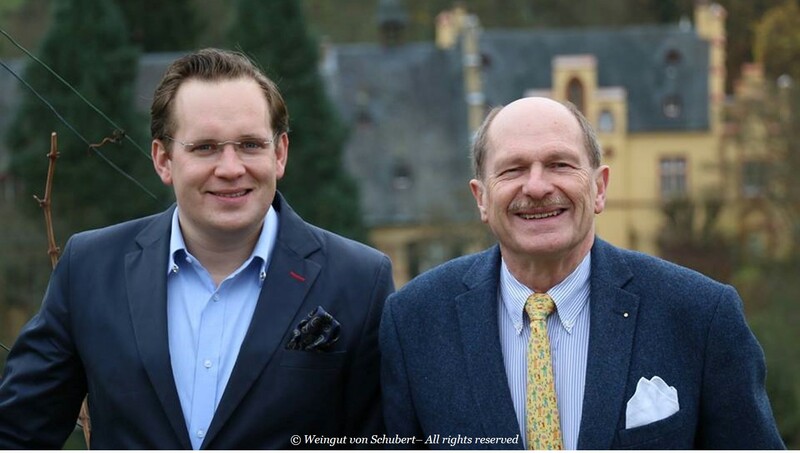 A few weeks ago, the VDP Mosel welcomed the historic Weingut von Schubert - Maximin Grünhaus among its members. This great piece of news is however not something radically new: It may not be widely known but the von Schubert - Maximin Grünhaus was a founding member of the Grosser Ring (the original name of the VDP Mosel). However it left the organization in the 1920s. The von Schubert Estate has not been the first one in this situation. Over the last two decades, there has been a "movement of rejoining the association" at the VDP Mosel. A decade ago, the Weingut von Kesselstatt and the Weingut Van Volxem did essentially the same. Both had been founding members of the Grosser Ring and had left the organization at some moment of their development. Other Estates, among which Weingut Schloss Lieser and Weingut Schloss Saarstein, had done the same earlier on. Mosel is one of the great classic winemaking regions in the world and its Riesling is part of the hall of fame of fine wines. However, despite this high level of awareness in the wine world, the region is tiny and its 8,800 ha of vineyards pale in comparison to the 111,000 ha of Bordeaux or even the 29,000 ha of Burgundy. More than ever, bundling forces is the way forward. We therefore welcome the recent moves and hope that many more will follow: "l'Union fait la force"!